South Africans marked Nelson Mandela’s birthday with charitable acts in honor of the former president, whose death in December, 2013 prompted a global outpouring of tributes. Organizers have urged people to perform acts of charity for 67 minutes, symbolizing Mandela’s 67 years of public service. 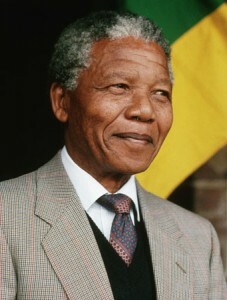 Mandela was jailed for 27 years under white minority rule and led a difficult transition to democracy, becoming president in all-race elections in 1994. He served one five-year term, evolving into a global statesman and pursuing charitable causes after that. He died Dec. 5, 2013 at the age of 95.